There is nothing fiddlier than placing chimney pots on top of the chimney stacks of your models, We've made it easy for you by printing groups of pots onto the mortar haunching. The pots can be painted and placed onto the model one chimney stack at a time. 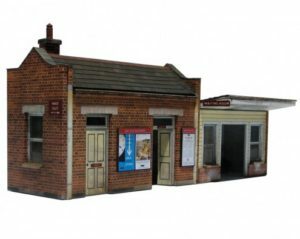 For Scalescenes modelers, complete sets of pots to suit many of the Scalescenes downloadable kits are now available. Complete brick chimney stacks with pots are also available. These stacks are designed to sit on the ridge of a 45 degree pitched roof. The stacks can easily be cut or filed to suit other pitches, or to allow positioning in other places than the ridge. At present there are 4 types; 3 larger stacks and a small one. The range is being added to all the time so send me a message via the contact page if there is something that you would like added. 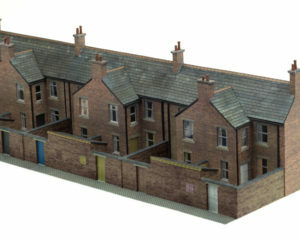 Chimney pot sets are also available for other kits in the Scalescenes product range. This pot is also available in a set with windows and exterior doors. 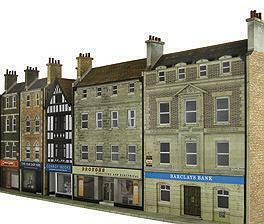 A set of chimney pots on mortar haunching to suit the Scalescenes T08 Low Relief House Backs downloadable card kit. The pots and mortar need to be painted and can then be glued to the top of the card chimney stack. 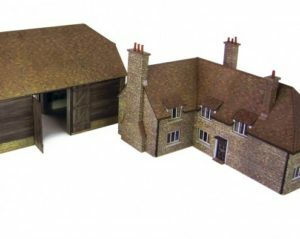 A set of chimney pots on mortar haunching to suit the Scalescenes T012 Farmhouse & Barn downloadable card kit. The pots and mortar need to be painted and can then be glued to the top of the card chimney stack. 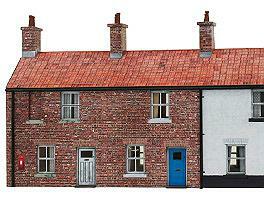 A set of chimney pots on mortar haunching to suit the Scalescenes T019 Row of Cottages downloadable card kit. The pots and mortar need to be painted and can then be glued to the top of the card chimney stack. Six Edwardian style chimney pots on mortar haunching in OO Scale.